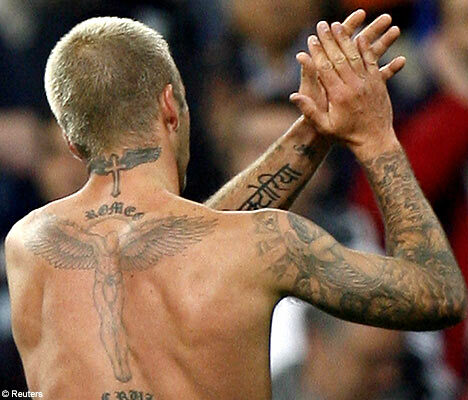 Beckham also has his wifey’s name inked in Hindi. What’s wrong with good ‘ol fashioned English tattoos? Is there not enough mystique or appeal in our language’s 26-character alphabet? Guess not.